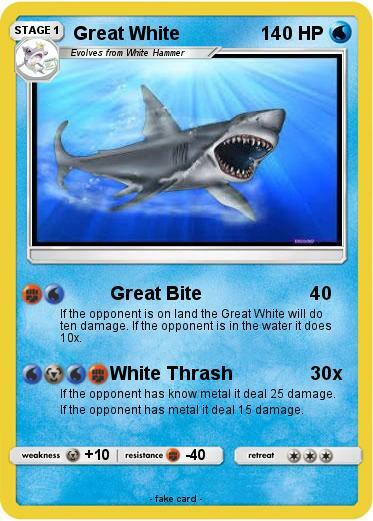 If the opponent is on land the Great White will do ten damage. If the opponent is in the water it does 10x. If the opponent has know metal it deal 25 damage. If the opponent has metal it deal 15 damage.